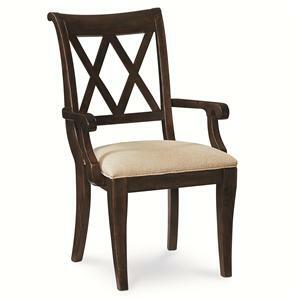 Make your home your own with the relaxed style and timeless appeal of the Thatcher collection. 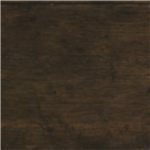 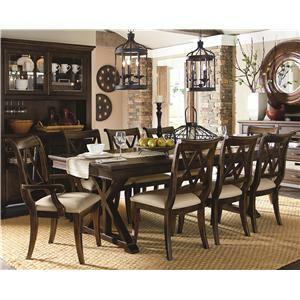 Beautiful tones, intriguing shapes, and transitional designs come together in this collection, with stunning and practical options to outfit your bedroom and dining room. 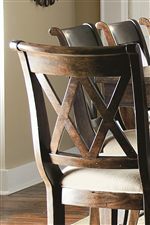 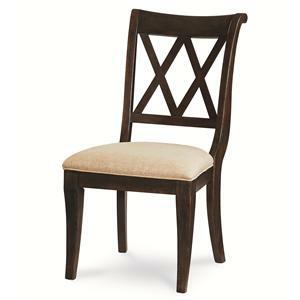 X-shaped details on chair backs and dining table pedestals transform classic pieces into contemporary silhouettes. 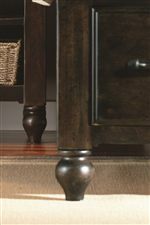 Tapered bun feet instill each item with traditional elegance, while a rich Amber finish envelops any home in rustic warmth. 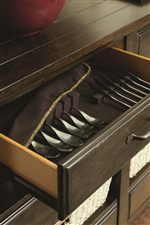 Storage abounds throughout the collection, with features like cedar-lined drawers and silver trays ensuring extra protection for your possessions. 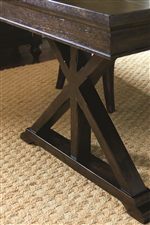 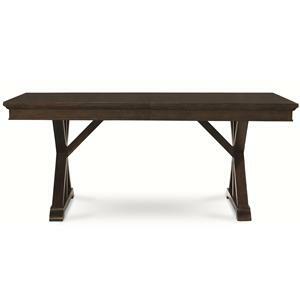 Create a space of comfortable refuge with the Thatcher collection's refined simplicity and relaxed, functional designs. 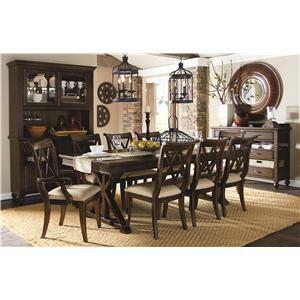 Browse other items in the Thatcher collection from FMG - Local Home Furnishing in the area.